Introduction: Jeffrey A. Lieberman, M.D. Two Steps Forward, One Step Back: A Family Portrait is a twenty-two year visual and textual portrait of a family as it cruises along, gets clobbered by a treacherous childhood illness and then moves forward. 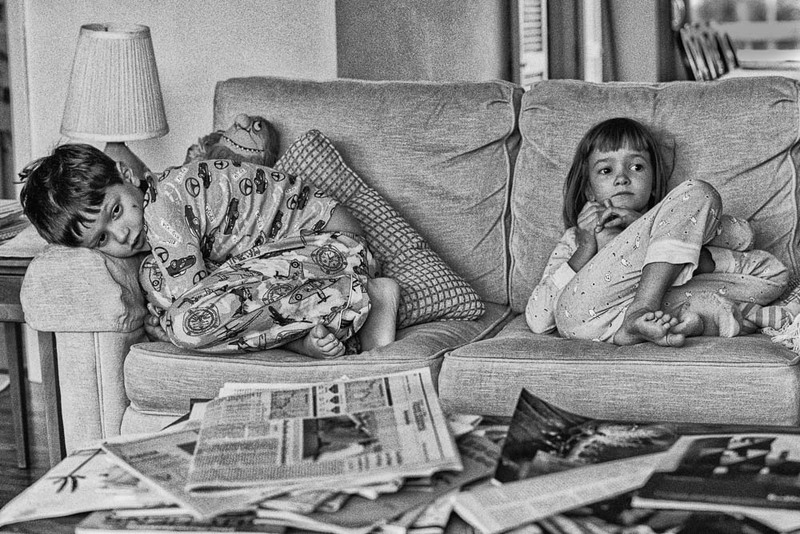 Amidst the quotidian of life, my photographs and the family’s words—from letters, an essay, a documentary and interviews—provide an intimate window into a world turned upside down. 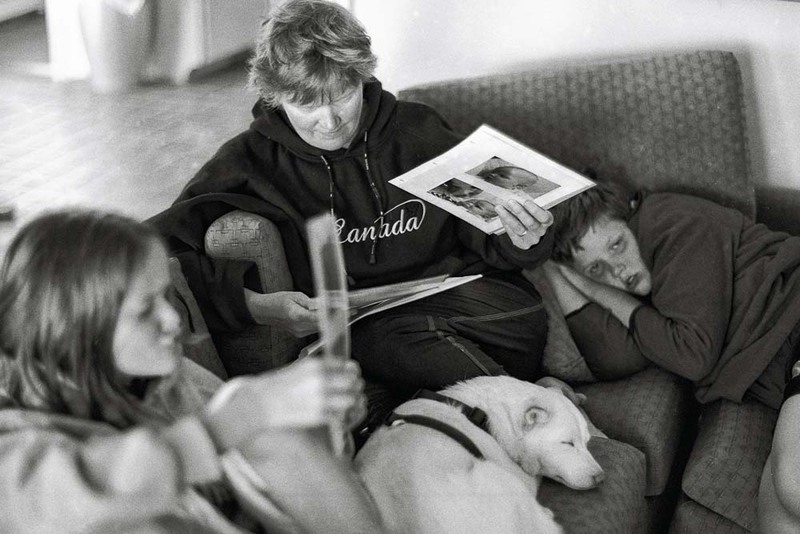 The book follows the family as it figures out how to care for a severely disabled child, and rights itself to the new reality by the will and persistence (and humor) of the four family members. The narrative is presented in three parts. Part One begins with the untroubled days of early childhood. Part Two follows the Morgan-Orton family as they seek a diagnosis for nine-year-old Parker’s increasingly disturbing behavior and learn the worst of news—that it is Childhood Onset Schizophrenia (COS). It continues with the period of adaptation and moving forward;shaken but determined, the family finds a new rhythm. Part Three presents the children in their twenties and all four offering unvarnished reflections on their lives and concerns for the future. I am related to the family, the Morgan-Ortons, through marriage. 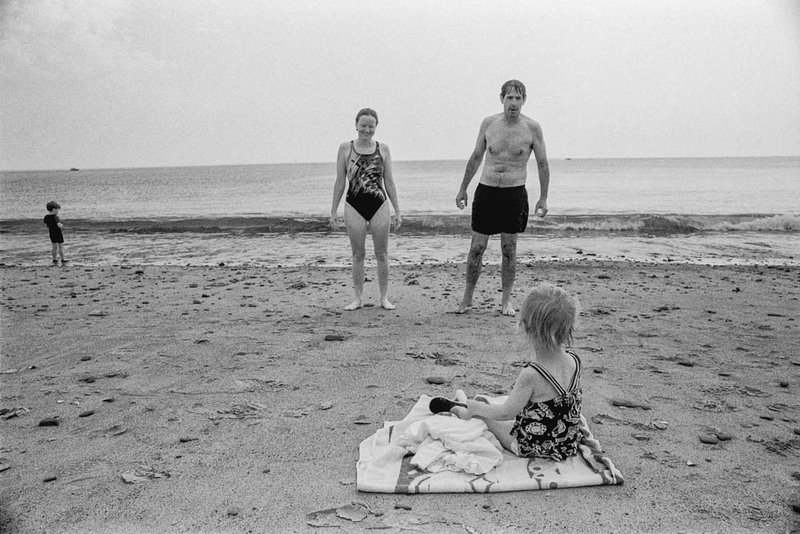 Twenty-five years ago, as a new photographer exploring the medium, parents Meredith and Ed and children Parker and Maggie were accessible and willing subjects. 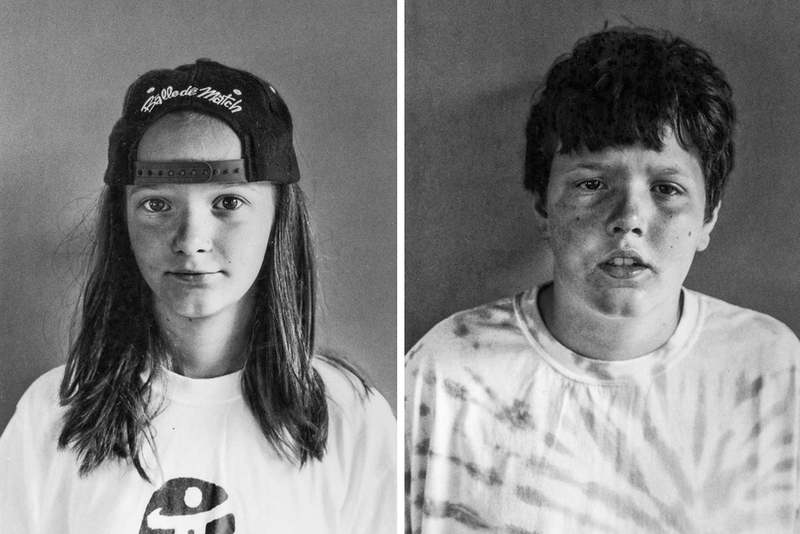 When Parker’s condition worsened, when the family found itself in the throes of fear and the unknown, no matter what the circumstances, they wrote and I photographed, which now makes it possible for me to tell their story. It has not been lost on the Morgan-Ortons or me that my background has a similar configuration: growing up in a family of four with a [physically] disabled sister. As the lives of the Morgan-Ortons changed and adapted, I found myself reflecting on my childhood. From the “sister me” – I saw in Maggie, the “well-sibling”, and how she came into and developed in that role. I also grew to understand, with far more clarity, the dynamic between my sister (1945- 2006) and me and recognize our lost opportunities. 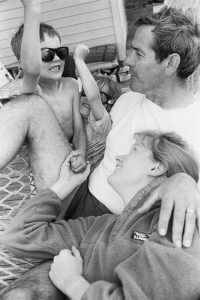 From the “parent me” – I felt empathy for Ed and Meredith as I couldn’t for my parents. So here I am, telling the story of a specific family, suspecting it will strike a chord—and perhaps provide some insight—for other families similarly challenged.